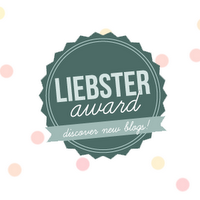 I am very grateful to announce that my friend Mrs. T over at My Front Porch has nominated me for a blog award. Go check out her blog if you get a chance, it is great fun! and I am absolutely excited, honored, and thrilled that Hannah nominated me! 1. I watch an insane amount of TV. There are so many good shows these days! 11. I am an obsessive planner. 1. Electronic reading, paper, magazines or paper reading, paper, magazines? I prefer reading paper things vs. electronic things. I like the feel and smell of a book or a magazine. I prefer to read magazines because I can read them in short bursts, because I am usually needing to catch up on chores or homeworks. 2. What item do you collect on vacation? Whenever I am going on a trip I have to send a postcard to myself, #1. And I usually do a little internet research to find out what the unique souvenir of the location is. You can get a magnet or a shot glass everywhere. 3. What is the best Vacation spot you went to? This is tough, as I have a pretty great time anywhere I go. I think when my BFF Katrina and I went on a cruise to Mexico, we had such a blast. My second would be going to Tokyo, Japan because the food was outstanding and everything I saw was just so darn cool and different. 4. Are you a white gold, gold, or silver kind of person? White gold or silver. Gold gold looks funny on my skin tone. 5. Would you rather wear shoes or bare feet and why? Bare feet. If I am wearing socks and shoes, I feel like I am suffocating. Weird, right? Love Is a Mixed Tape by Rob Sheffield. My God how I cried. 7. What is your favorite song? 9. Would you rather have a heavy fall scented candle burning or a light spring scented candle burning? 10. Name one secret obsession. I can't really think of one? All of my obsessions are very public, sadly, lol. 11. Why did you decided to blog? 1. You have to be an item on a salad bar. What are you and why? 2. If you can have dinner with someone dead or alive, who would you pick and why? 5. What is a quote that you love? 7. If you could max out a credit card in one store, which one would it be? 9. You just won the lottery, but it was only $50,000. How do you spend it? 10. Best vacation you ever went on? 11. 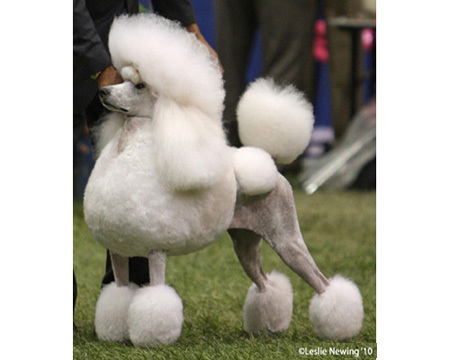 You decide to give your new poodle a celebrity name, what did you pick? Amy @ Fame and Fortune, Not! Congrats on your award girl!!! I got a new layout! Blog Wishes can come true! Me, myself and I link up! Two Link Ups in one day?! Irene gets possessed by a demon.